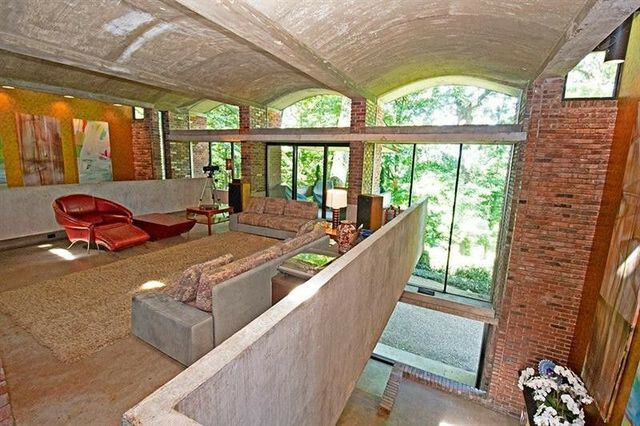 Decades ago, architect Tasso Katselas fashioned a staggering brutalist home for his family amid the lush foliage of Fox Chapel, PA. 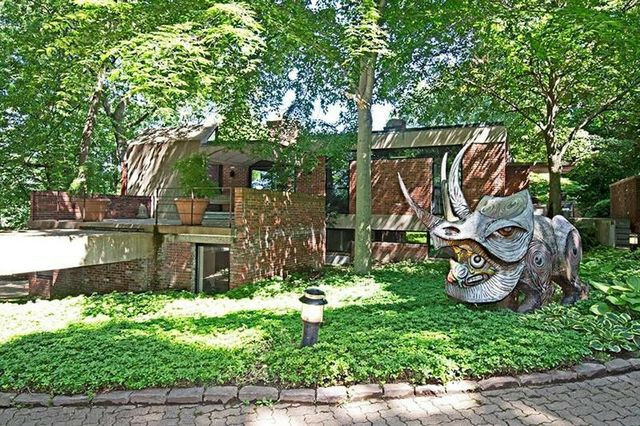 Built in 1962, the dwelling is now on the market for $2.2 million. 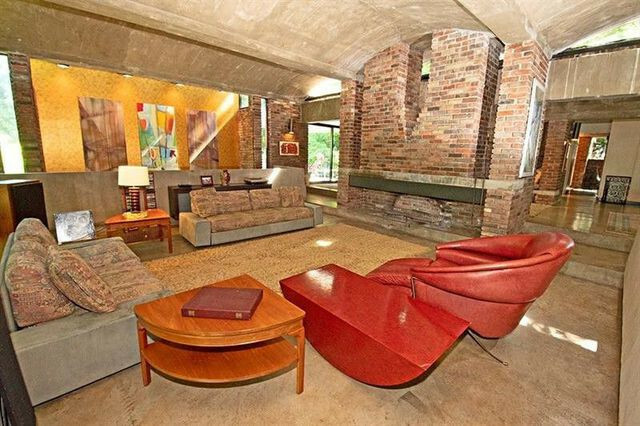 Listing agent Bob Friend says the home is “modern in the most brutalist of style.” Katselas was an aficionado of Brutalist style, and used signature elements of the style (concrete, brick, and large, open spaces) in the conception and construction of his own home. A fortress of sorts, the home sits in stark contrast to its wooded surroundings, but the juxtaposition makes for a truly unique experience. “I imagine Katselas wanted a location that was close to the city but still had the benefit of the quiet and seclusion of the woods,” said Friend. Seclusion is an understatement—the home sits on over 3 acres of land. At the time it was built, there were no neighbors for miles around. The popular Fox Chapel school district, which is one of the best in the area these days, didn’t debut until the late ’50s. 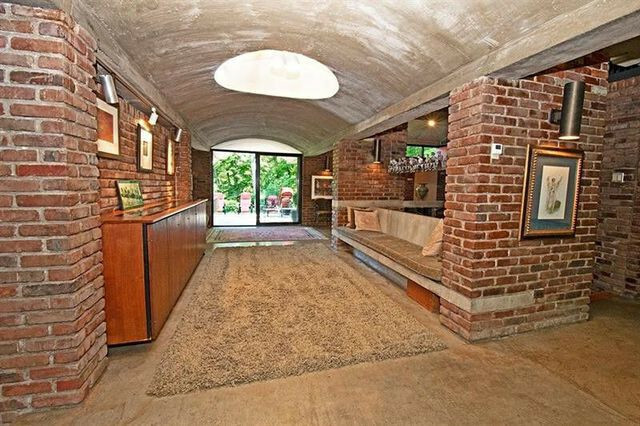 A mixture of concrete and brick adorns nearly every room in this modern oasis. The heavy materials might seem forbidding, but they were fashioned together to create wide-open spaces and incredible views from all sides. The kitchen’s white cabinets and stainless-steel appliances complement the rest of the home’s brutalist aesthetic. The exterior boasts dramatic concrete cantilevers alongside brick walls and massive windows. “One of my favorite features of the home is the sheer amount of natural light that comes it. When you look out a window, you see nothing but trees, and natural light illuminates every corner. It’s like being in a resort,” Friend says. And to create a true spa feeling, the home includes a glittering pool amid the trees and foliage of the forest. There’s also a stream that flows right past the downstairs master bedroom. Out back, there’s a two-story pool house with one bedroom and one bathroom as well as a kitchenette. Known as the leading modern architect in Pittsburgh, Katselas has won over 25 awards for his work and still is a consultant at his firm. A slice of history in its own right, his former home offers a one-of-a-kind fusion of art and nature.